. Published on 20/04/2017 . We love all our GardenTaggers just the same amount but we reserve our GardenTags badges for those of you who grow the extra mile for the community. We want to be inclusively exclusive (get your head around that!) so these badges are by application only or you may be lucky enough to be approached by us if we spot you going the extra mile. Here’s an explanation of what each badge is for and importantly how to get one! Our guest blogger badge recognises the work of our writers who blog on the GardenTags blog platform or indeed blog about GardenTags on their own blog or website. It’s important that we educate and inspire growers of all abilities and blogs are a great way of doing this. If you have an idea for a blog please get in touch via email hello@gardentags.com . And if you have a spare moment grab yourself some gardening guest blog inspiration here . Also check out our growing revolution blog if you think you have a revolutionary idea here. 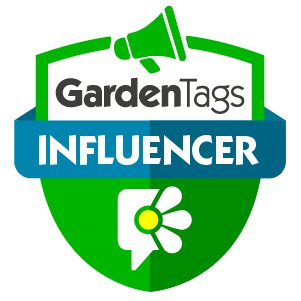 Our GardenTags influencer badge is for those that are spreading the gardening word far and wide and are helping to grow the GardenTags community to boot. If you’re a well connected social media maven this may be the badge for you. Get in touch at hello@gardentags.com – or find out more here. Our Ambassadors are GardenTags royalty. They’re so important we’ve created a separate blog post on how to apply. Read all about it and apply here.